Did you know that stand-up paddleboarding (SUP) is the fastest-growing water sport in the world? This unique blend of surfing and kayaking provides a full-body workout that helps with core strength, cardio fitness, balance, flexibility, and more. More than anything, though, it’s just tons of fun. Paddleboarding might be a total-body workout, but can still be enjoyed by people of all ages and fitness levels. Check out these tips from a Men’s Fitness article that will get you started paddleboarding in no time. Take a lesson – One of the most common mistakes that beginners make is standing with straight legs looking down rather than with legs slightly bent (like in skiing) for better balance. 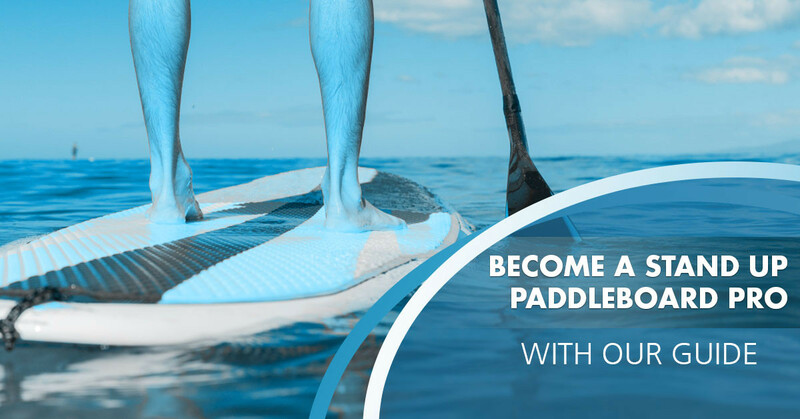 You can improve your technique in no time with guidance from a World Paddle Association-certified instructor. Paddleboarding classes are fairly cheap and make a great investment if you plan on paddleboarding more than just once. Most SUP classes demonstrate how to correctly size and hold a paddle, proper paddling technique, basic turns, how to stay safe in adverse conditions, and how to fall and remount. Focus on your core, not your arms – As strange as it may feel at the beginning, you’ll want to use your core more than your arms when paddleboarding. This is such because of all the balance and endurance that’s required. A stand-up paddleboard – It’s best to chat with an expert before investing in a paddleboard that can cost upwards of $1,000. Keep in mind that wider, flatter boards provide more stability. A basic, all-around board ranges from about 12 feet to 12 feet, 6 inches long. Paddle – Experts advise choosing a paddle that’s about 10 inches taller than you if you’re flat-water paddling. Most stand up paddles have a straight shaft with an angled blade with a size tailored to the individual. A quality paddle costs several hundred dollars, but it shouldn’t need to be replaced. Lifejacket – As required by the Coast Guard, all paddleboarders must wear a properly fitted personal flotation device or lifejacket. 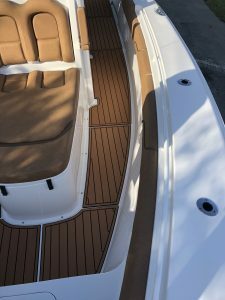 Whether it’s your paddleboard, kayak, personal watercraft, or boat, Marine Customs is your source for non-slip decking. 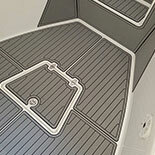 Marine Customs, a marine decking fabricator and installer, has the solution for you. Our anti-slip decking features comfortable, durable EVA foam for safety, 3M peel and stick application, maximum wet/dry traction, customization options, and superior hydroacoustic noise attenuation. The process begins when we create a 2D digital scan of your craft before importing it into our CAD software. At that point, the customization takes place with desired patterns, graphics, or logos. We then fabricate the marine decking material on a high precision CNC machine. 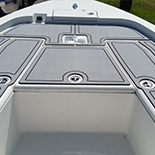 The process is completed once our team expertly installs the finished product on your boat. 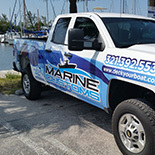 Contact us today and get the marine decking of your dreams.